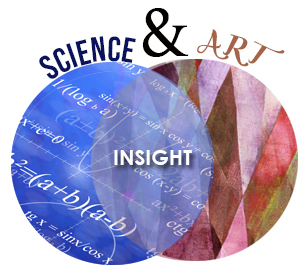 In the first two parts of this series, I discussed how the successful convergence of science and art could produce great things. From winning baseball teams to Hollywood blockbusters, industries that have previously shunned technology have seen the enormous value that science and analytics bring to the art of creating innovative ideas and solutions. As a former retail merchant turned supply chain executive, I have witnessed first-hand the evolution of technology in retail and the positive impact it can have on product selection and forecasting. Walmart, for example, has demonstrated this as it has grown to become the world’s largest retailer through supply chain excellence and technology adoption. As a retailer, you take risks every day and every season on new products. Your intuition has served you well to get to where you are, but you are one person. As your company grows, how do you scale this capability? And just as importantly, how do you SUSTAIN it? Isn’t that what Wall Street analysts ask every day? What about those retailers and manufacturers which have not been as successful? What tools are available to help them get on track or help sharpen the competitive edge? How can you improve your batting average or box office success? Today, retail executives have access to tools that inject science into the art of design and merchandising. Most of these tools use historical data on existing products to attempt to build forecast models for new products - pricing, inventory optimization, etc. So the idea of using science in retail is not new, but the practice of using historical data to predict new products is, well… history. First Insight is different. Our solution gathers real-time, forward-looking data on new products. We do this by engaging consumers online, capturing their point of view on a product’s value, applying predictive analytics and giving retailers a forward-looking view on how the market will respond to each new product. Let’s take a few minutes and explore a couple of real world examples: Vera Bradley and David’s Bridal. In 2012, Vera Bradley was preparing to enter a new product category (Baby). Because it was an entirely new category, they did not know the prices the new products would bear in the market. Utilizing First insight enabled real-time feedback on which products to select and how to price them. Prices were increased on products recommended by the First Insight solution, and the result was an overall increase of 4% in sales above the original plan. David's Bridal, the largest and fastest growing bridal retailer in the world, was looking for a way to shorten their time-to-market with new gowns. The entire product introduction cycle was 8½ months and their forecast accuracy was below 50%. The biggest single time constraint was in-store testing, which took approximately 3 months to complete from design to sample delivery in stores. Utilizing the First Insight solution, they reduced their in-store testing cycle from 3 months to one week. They also found one of their best-selling gowns of all time through the First Insight solution, which gave them the confidence to more than double the buy. Sales of the dress were 120% of what they originally expected. You wouldn’t drive a car looking out the rear-view mirror, so why run your business looking only at historical data? Vera Bradley and David’s Bridal are just two examples of fashion companies that have coupled the art of design with the science of product selection and pricing. The science is not a replacement for the art of the merchant or designer - it is an enabler that gives support to their decisions. Trust your instincts and verify with data. The result: more winning products at the right price points. And bigger bonuses for the merchants. Baseball… Hollywood… and now Retail. The time is now for data-driven decision-making. Why not see if you can tip the odds in your favor?